Welcome to the Home Page of Solo Dachshunds! 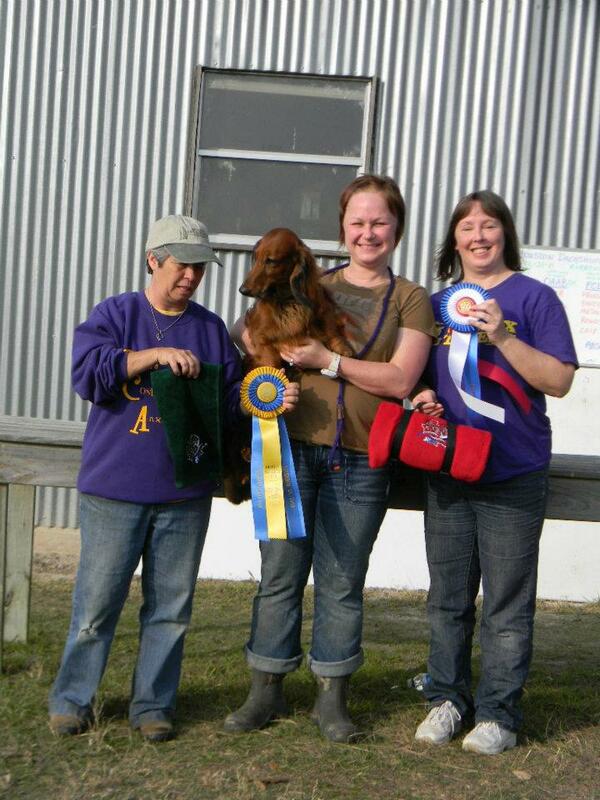 Our small hobby kennel is a family affair involving me, Paula Carter, and my daughter, Kim Vidrine..
We have bred longhaired dachshunds in both miniature and standard sizes for over 30 years. We have been involved in conformation, junior showmanship and field trial and earthdog events. Kim started out with miniatures, but later decided she preferred the standard size. Our main focus today is our standard longhaired dachshunds. Over the years, we have had modest success in both sizes. Kim showed one of our minis, Ch Solo’s Golden Man ML, to #8 in the country when she was 10 years old in 1984. 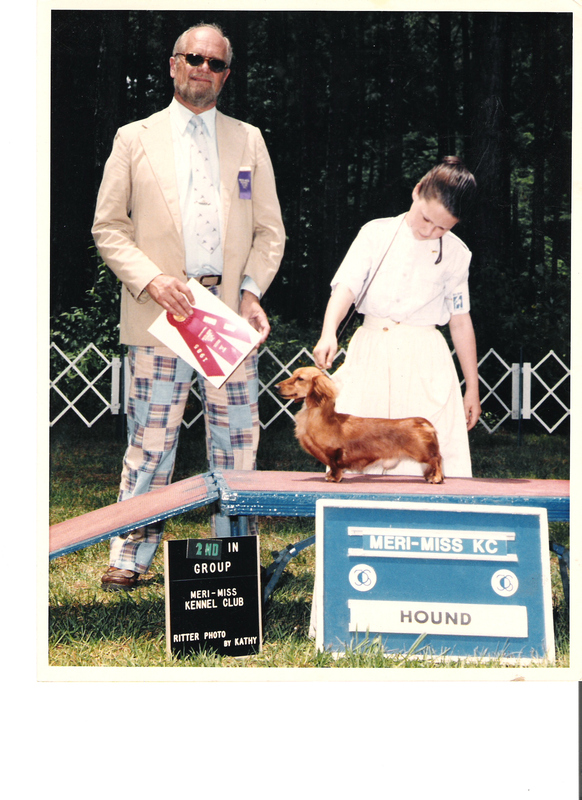 In 2005 she showed another homebred dog that was ranked in the top 10 and most notably was Best of Breed at the 2005 Dachshund Club of America National Specialty, Ch Solo’s Premiere SL. Primo was a once in a lifetime dog. 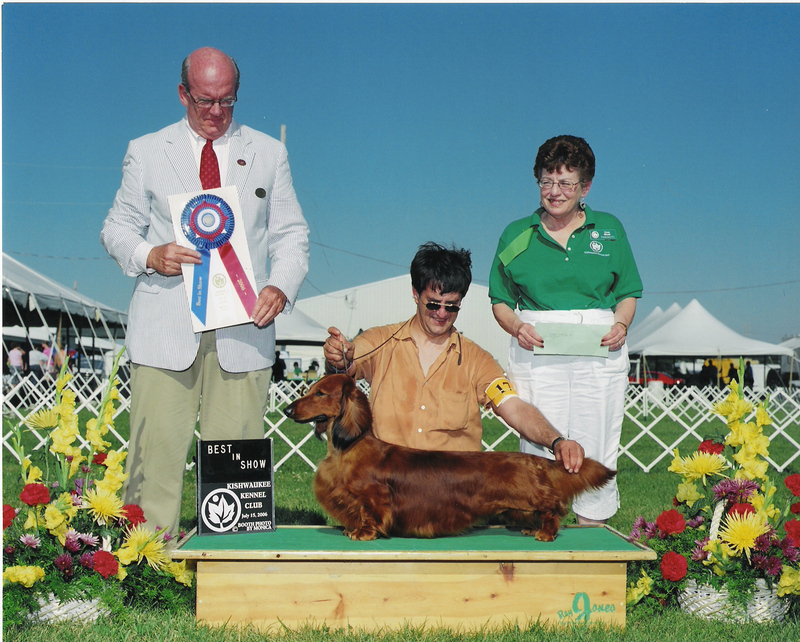 In 2006 he was campaigned by Carlos Puig and ended 2006 as the number one longhaired dachshund breed and all breed system. 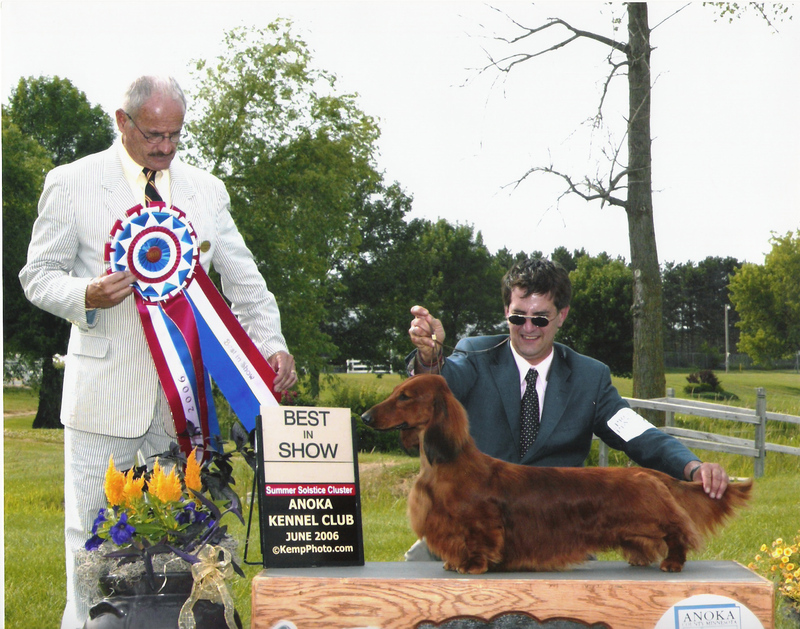 During this time he earned Award of Merits at the 2006 and 2007 Westminster Kennel Club, Best Stud Dog at the 2006 Dachshund Club of America National Specialty and two All-Breed Best in Shows (Anoka Kennel Club and Kishwaukie Kennel Club ). Primo earned his Field Championship in October 2010 and an Absolute win as a Field Champion. Primo also earned his Junior Earthdog Title in 2012. Primo left us on April 15, 2013. He now has 50 Champion offspring to his credit. He was simply the best. We were blessed with great mentors when we started that have remained good friends over the years. We have also been blessed with wonderful friends during these years. The priorities of our small breeding program are health, temperament, and dogs that conform to the standard of perfection as set out by the Dachshund Club of America. We do not mass produce dogs. Any puppies that are not kept for our own breeding or showing interests are carefully placed on spay/neuter contracts in homes that will love them as much as we do. We love our dogs, and are proud of their accomplishments. Please feel free to contact us if you have questions about our wonderful breed.